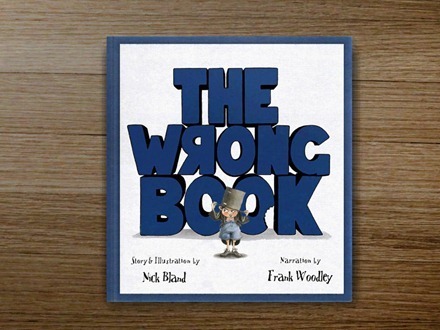 The Wrong Book is a fun, short iPad storybook title. It’s an iPad version of the printed title of the same name by Nick Bland. * Spoiler Alert – this is a short, simple story – so in doing this quick review I giveaway just about the entire plot. So stop reading now if that’s going to ruin the storybook for you. The lead character in the story is a lad called Nicholas Ickle and, as you may have guessed from the title, it’s all about his efforts to correct things that are going wrong or interrupting his tale. Things being the key word. Nicholas doesn’t even quite manage to finish saying ‘This book is about’ before discovering an elephant smack in the middle of the page. A trumpeting elephant in fact. 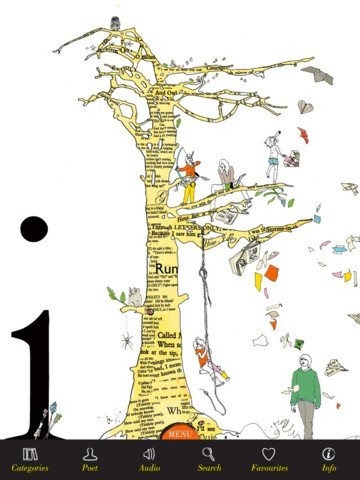 iF Poems is new poetry app for the iPad, described as ‘a poetry app for school-age children and for adults of any age’. It’s the first great poetry app I’ve seen for the iPad – apologies for the spoiler but I needed to mention that right off the bat. The app includes 270 classic poems which have been carefully selected as works that the publishers feel are ‘a joy to pass down the generations, to share, to educate and enjoy’. Many of the included poems have audio clips. These are read by the actors Helena Bonham Carter, Bill Nighy, Harry Enfield and Tom Hiddleston. You can record yourself reading a poem. You can email a poem and email your recording of a poem. You can tap on any word for a dictionary definition. You can save poems to a Favourites page. You can search by title, author, first line or by any word. You can get a dictionary definition of any word.